We all know that influencer marketing has become increasingly popular over the past few years. In fact, Klear found that during 2017, influencer marketing on Instagram grew by 198%. That’s almost double the amount! But the fact remains that some brands have experienced some challenges in executing a campaign. As a content writer, I’ve had to conduct thorough research on influencer marketing using case studies, surveys, and examples. Through this process, I’ve come across hundreds of influencer content that were bland and seemed scripted. I’ve also come across some influencers who managed to seamlessly infuse brand promotions into their content. They sounded so natural and so entertaining that I didn’t feel like I was being sold to at all, even though the influencer maintained full transparency. And in some cases, the influencer would be intentionally sales-y and pushy to humor their audience and win them over. 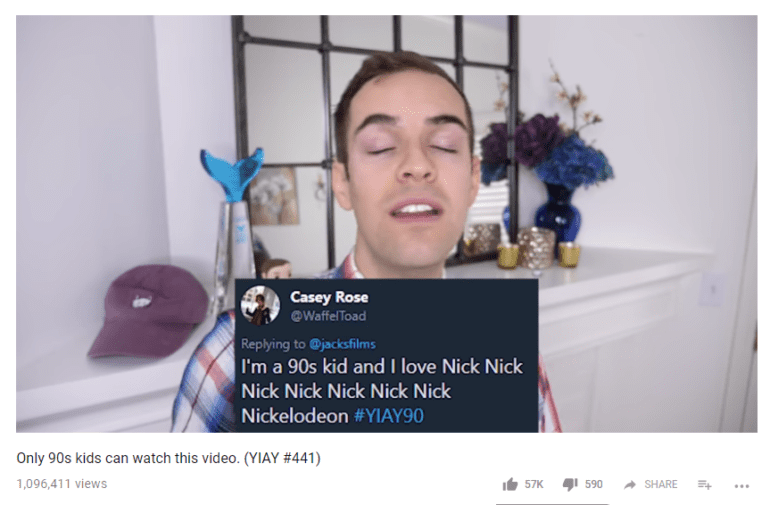 Jack Douglass, better known as Jacksfilms, is easily my favorite YouTuber and influencer. He does a lot of comedy and is known for his self-deprecating humor. He makes fun of everything – from fidget spinners to his own relationship. What I really love about this influencer is that he’s completely honest about his sponsorships and he acknowledges it. There’s a running joke among his fans about his big forehead and his love for creating sponsored content. He manages to create engaging and humorous videos for brands in a way that aligns with his usual content. One of my favorites is his partnership with VRV, a video streaming service where you can watch cartoons, anime, and sci-fi shows. Jack has a segment called “Yesterday I Asked You,” where he asks fans a question and then compiles some of the best answers for his video. For VRV, he asked his fans to contribute hilarious answers about the things that nineties kids love. He managed to find an answer about Nickelodeon and showed it last. This gave him the chance to seamlessly talk about some of the cartoons that used to air on the channel during the nineties. He then started talking about how his fans can watch them again on VRV. Takeaways: Work with highly creative influencers whose content and values can align with your brand and its values. Give them creative freedom so they can talk about you in their own voice to engage their fans. 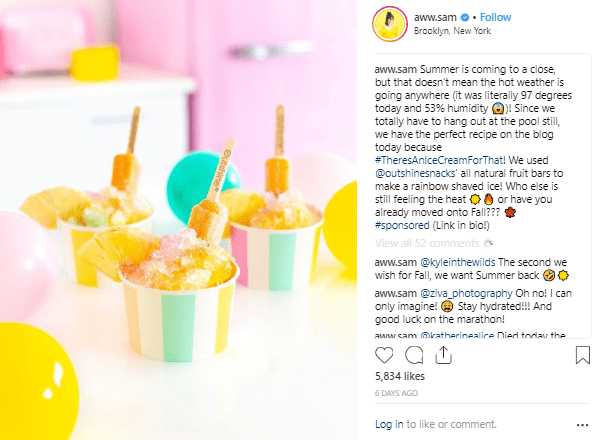 Sam Ushiro, popularly known as Aww Sam, is another influencer whose content I absolutely love. If you go through her Instagram feed, you’ll know why. She maintains a consistent aesthetic with bright pink, yellow, and green colors. It’s like a colorful mélange of summertime and happiness. You can’t help but feel all warm and satisfied inside when you look at her content. She is an industrial designer by profession but her blog covers lifestyle topics. She creates tons of content related to DIY crafts, design, food, and local attractions. I’ve noticed that a majority of the sponsored content she creates are related to a food product or food brand. She will find a way to creatively position the product with images that match her aesthetics. It’s clear that there’s a lot of work put into all of the content she creates. But my favorite sponsored content is the one with Outshine Snacks, a frozen snack company that specializes in frozen fruit bars. Instead of just promoting the product as it is, she did something fun with it and used the fruit bars to make colorful rainbow shaved ice. Just take a look at how pretty everything looks in the picture she took. Besides this, there’s also a conversational tone in the caption and she comes off as very friendly and casual in the way she talks to her followers. This can be a great way to start a conversation about the product and engage the audience. Takeaway: Make sure your influencer has excellent aesthetics if you’re planning to have the product promoted in a visual format. Allow the influencer to create something fun and original using your product so there’s fresh and engaging content for the audience. Parenting isn’t easy. Regardless of how some people portray it, it’s not all sunshine and rainbows. That’s exactly why I love Joanna, the blogger behind The Lazy Mom. She tells it as it is and shares all the fun and challenging aspects of parenting. Even just from the name of her blog, you can tell that Joanna is blatantly honest and isn’t striving for perfection. She hopes that through her honest storytelling and simple ideas she will be able to inspire other parents to live a happier family life. Most of her content is on parenting and mindfulness. But she also creates content on lifestyle and homemaking. And all of the content she creates is based on the lessons she’s learnt through her own experiences. That’s why when Fujifilm decided to partner with her she managed to weave such a compelling story around the product. 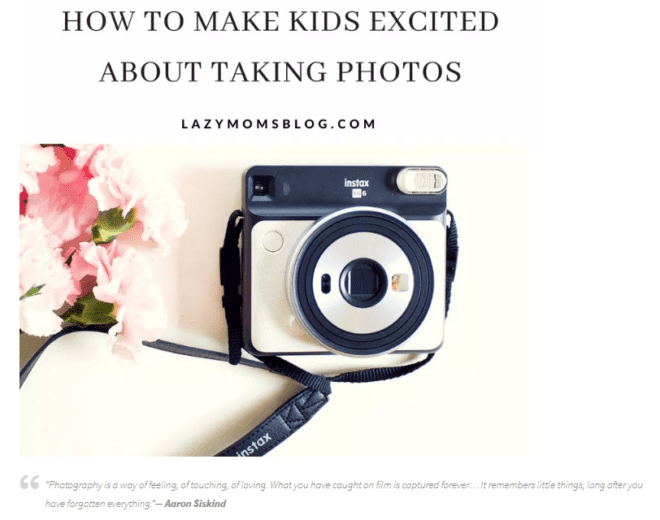 She wrote a blog post on how to get kids excited about taking pictures. Here, she talked about how her kids get distracted with their own adventures and do not really stop to take photos. But when she introduced them to the Instax SQ6 from Fujifilm, they immediately developed a fascination for it. She talked about how her kids were captivated by the way the camera instantly develops the picture that it takes. Takeaway: Have your influencers tell a compelling and unique story around your product. Strong and relatable storytelling can engage the audience and win their trust. I’ve given you some ideas that you can use in your future influencer marketing campaigns. Aside from the takeaways I’ve provided, the examples might have given you some ideas of your own. 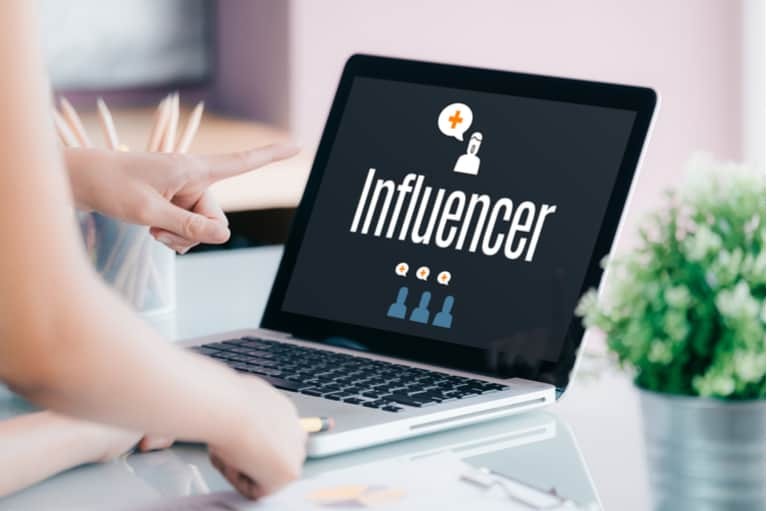 Now lay out your goals for the campaign and start thinking of ways to implement these tips so you can get the most out of influencer marketing.